The Tipperary players huddle. ©INPHO/Donall Farmer. 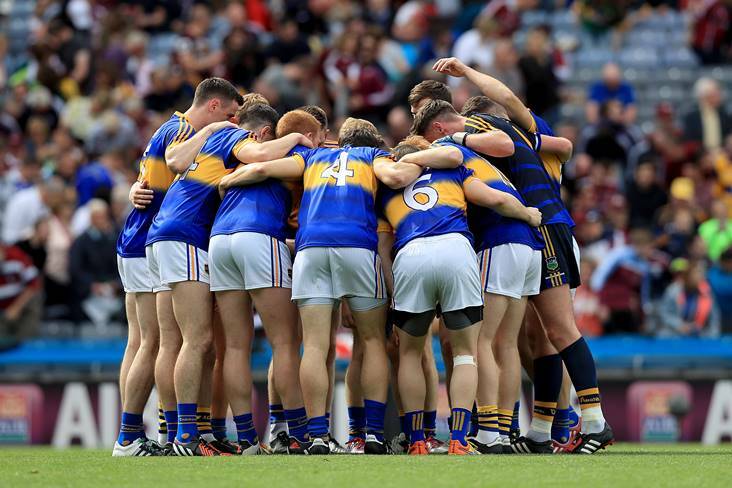 Tipperary club Killenaule have raised concerns over the fact that inter-county players were not fully released back to the clubs ahead of the first round of the Tipp SHC last weekend. The situation of inter-county player availability for the month of April was brought to the county board’s attention at last week’s meeting. Killenaule delegate Eleanor Lahart posed the question as to why the county teams were training last week ahead of the opening round of the senior and intermediate hurling championships. Explaining that Killenaule had six players involved with either the Tipperary senior hurling or football squads leaving the club with minimum access to the players in the week of a club championship game. The Tipperary Star reports that county board chairman John Devane stated that he will ‘take note of the concerns raised’. The April club-only month has brought about may issues and Croke Park will have to sit down and assess the situation as most counties have the same issue.